There seems to be quite a bit of interest over planetary-themed items, as can be evidenced right here. However, most of the time the planets in question are the ones in our very own solar system. That’s all fine, but what about the planets in other, completely fictional universes? 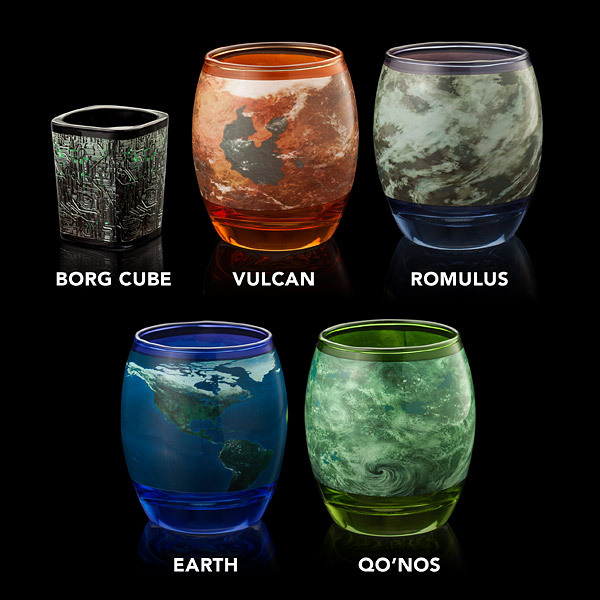 The Star Trek Planetary Glassware celebrates some of the planets encountered in Gene Roddenberry’s tales. The glasses are sadly not microwave or dishwasher safe, but with a little TLC this set will keep your nerdy self entertained for years to come. It’s $40. Are we talking about paperweights on OhGizmo!? Yes, yes we are. 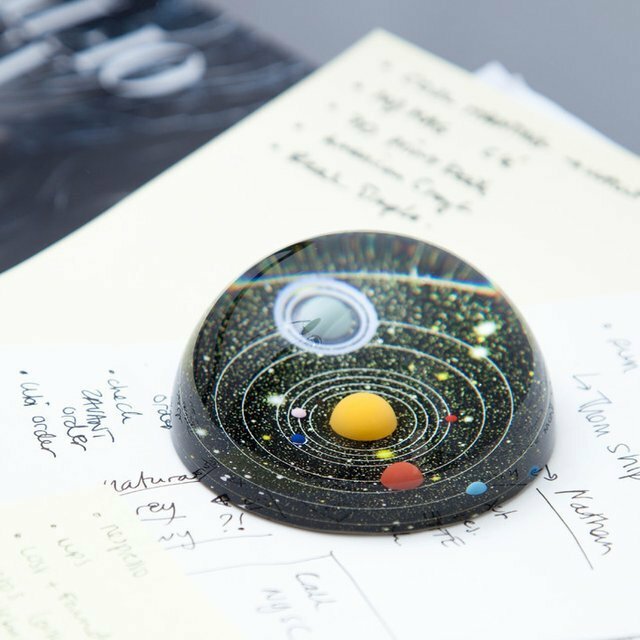 It’s not any ordinary paperweight though, but a Planetary Paperweight, not unlike the Planetary Lollipops or Planetary Glass Set we wrote about a while back. It’s a fun reminder that our little planet is nothing but a speck of dust in our vast universe, and a cool visual nod to the tiny neighbourhood of our galaxy we happen to inhabit. It’ll look great on the desk of any science-minded loved one in your life, and at $38, it makes a great stocking stuffer for the upcoming Holidays. By David Ponce on 03/05/15 • Leave a comment! You guys sure seem to like planetary-themed things. 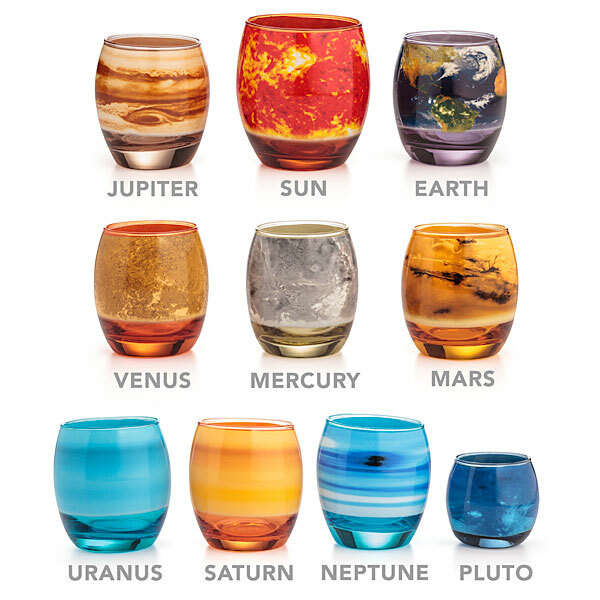 Just take a look at how many of you liked these planetary glasses and Christmas Tree Ornament Set. 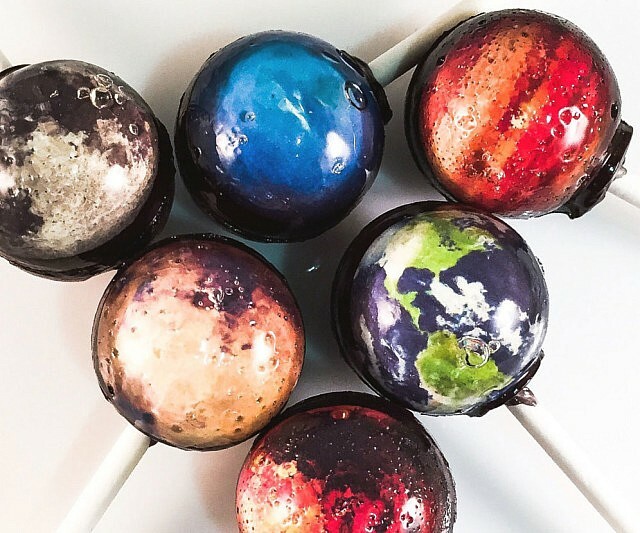 So we imagine the Planetary Lollipops pictured above will find at least a couple of fans among you. They’re sold in sets of 6, so it’s not like you can get a full solar system. 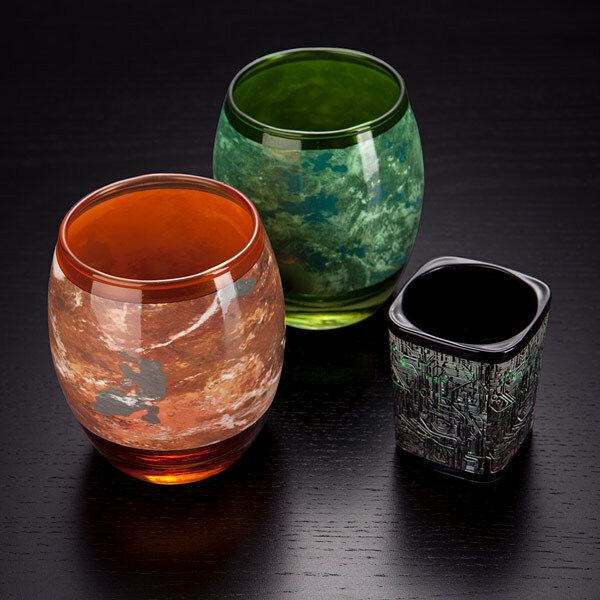 But the planets you will receive apparently feature clearly visible designs, and taste adequately; taste isn’t, after all, the main appeal of these things. It’s $14.50 for a set, and the Easy page they’re being sold on is chock full of positive reviews. Each pop is 1 inch in diameter. You can currently buy bicycles featuring the NuVinci CVP drivetrain from Ellsworth; the base model is a shade under three thousand and the signature model (with some carbon fiber, a headlight, and a belt drive) will set you back another grand. 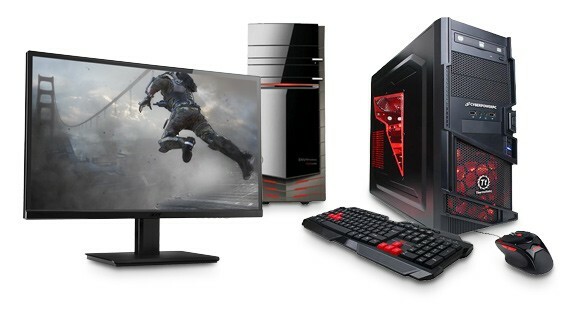 A CVP kit should be available in the second half of 2007. 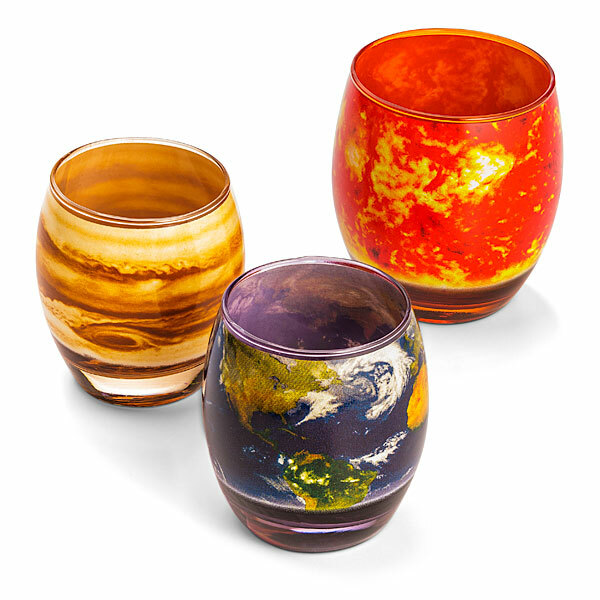 There seems to be a tiny market for planet-themed items. 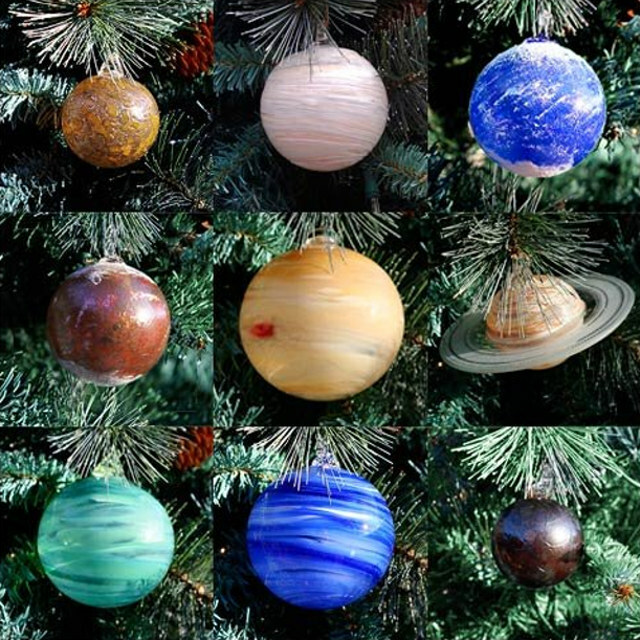 We’ve written about Planetary Christmas tree ornaments and Planetary Glasses, and they’ve all been well received. 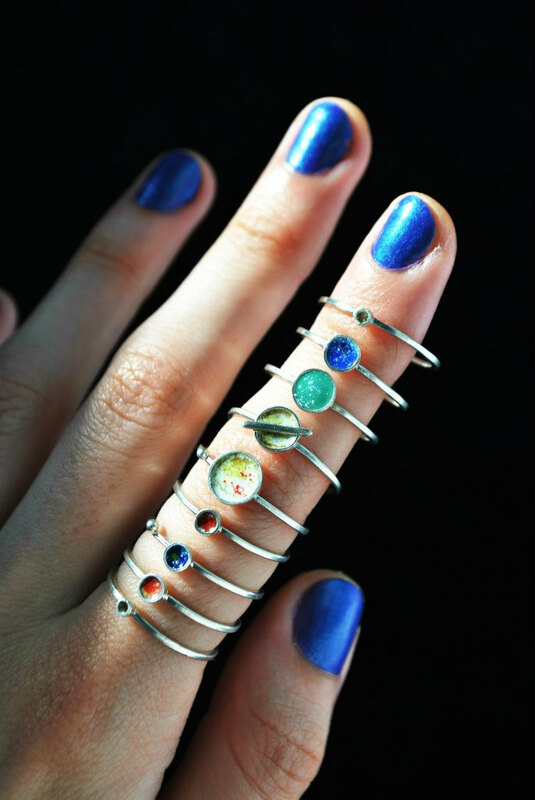 Now we come across these Solar System Rings by Etsy seller JewelryThreeSnails. They feature each of our solar system’s planets, though we’re not sure about Pluto’s status anymore. It’s not really a planet, right? 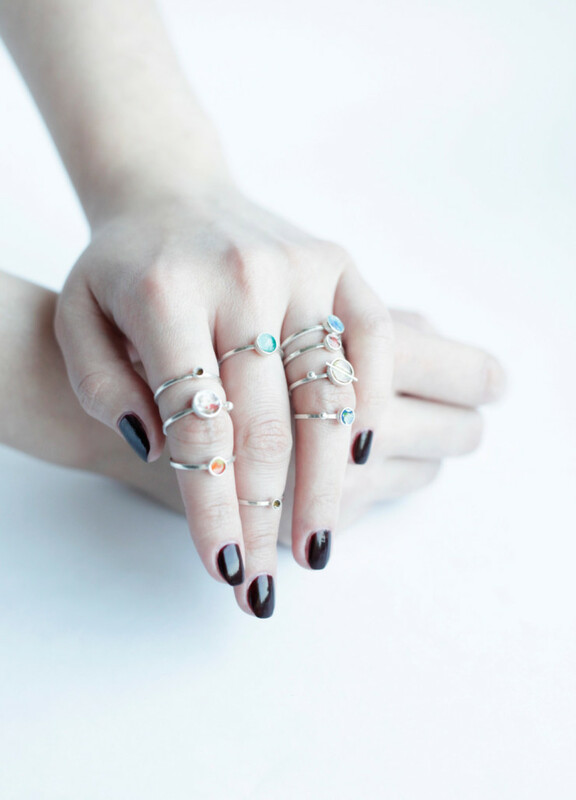 In any case, they’re not expensive, made from silver with an enamel, and will set you back $14 a piece or $129 for the set of 9. 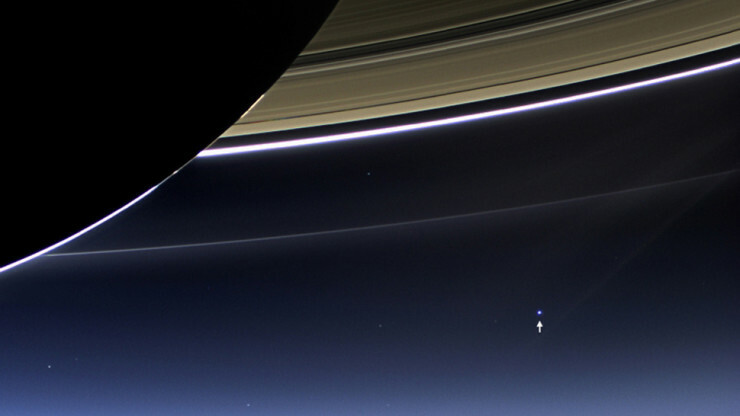 Some Perspective: This Pale Dot Is Us. All Of Us. By David Ponce on 07/24/13 • Leave a comment! Every little kid born to royalty, every man sitting in a cafe writing the next great American novel, every river full of bear food, every cat, every single thing that makes up humanity… is crammed in those few pixels you see above. That tiny dot, that’s Earth. That’s the picture Cassini took on July 19th, some 900 million miles away, while orbiting Saturn. And it’s sobering. It’s a sobering picture because it gives you a tiny bit of perspective about our great blue planet. How tiny it looks next to the unimaginable interplanetary distances. And yet everything that ever was, anything that ever happened, happened on that dot. So yeah, that’s our science break. The picture below? 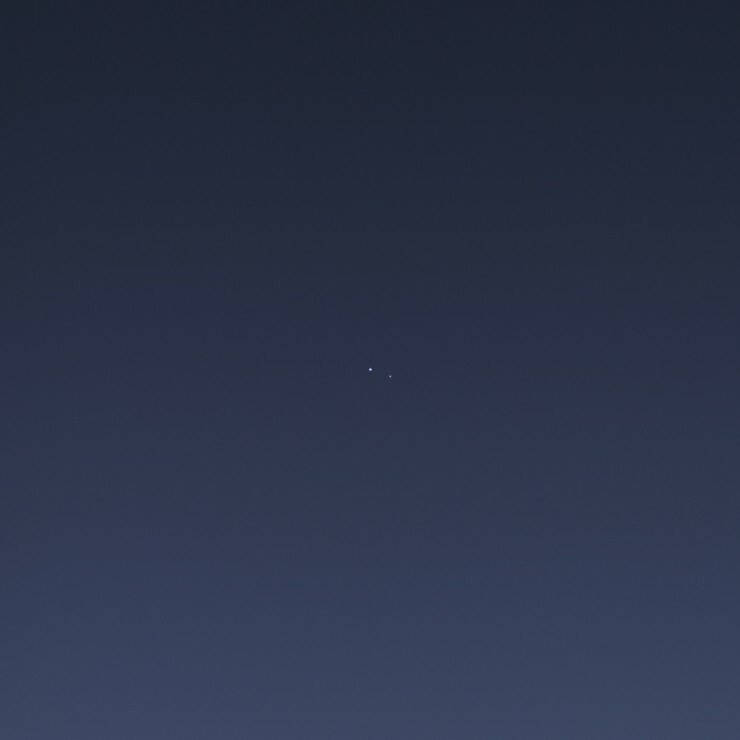 That’s another one, of the Earth next to its moon. Nifty, eh?